One of our fellow member of the EEC sent us this article few days ago. Remember you can do the same and talk about whatever you want, even yourself! Transformers are devices that change (transform) the voltage of power supplied to meet the individuals needs of power consumers. It uses the principle of electromagnetic induction to change the voltage (alternating difference) from one value to another whether smaller or greater. A transformer is made of a soft iron coil with two other coils wound around it, but not connected with one another. The iron coils can either be arranged on top of another or be wound on separate limps of the iron core. The coil to which the alternating voltage is supplied is known as primary winding or primary coil while. The alternating current in the primary winding produces a changing magnetic field around it whenever an alternating potential is supplied. An alternating current is in turn produced by the changing field in the secondary coil and the amount of current produced depends on the number of windings in the secondary coil. There are two types of transformers, namely: Step down and Step up transformers. Generally, the difference between them is the amount of voltage produced, depending on the number of secondary coils. In a step-down transformer is one who secondary windings are fewer than the primary windings. In other words, the transformer’s secondary voltage is less than the primary voltage. So, the transformer is designed to convert high-voltage, low-current power into a low-voltage, high current power and it is mainly used in domestic consumption. A common case of step-down application is in the case of door bells. Normally, door bells use 16 volts, but most household power circuits carry 110-120 volts. Therefore, the doorbell’s step-down transformer receives the 110 volts and reduces it to lower voltage before supplying it to the doorbell. Step-down transformers are mostly used to convert the 220 volts electricity to the 110 volts required in most domestic equipment. A step-up transformer is the direct opposite of a step-down transformer. 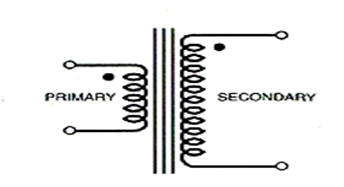 There are many turns on the secondary winding than in the primary winding in the step-up transformers. Thus, the voltage supplied in the secondary transformer is greater than the one supplied across the primary winding. Because of the principle of conservation of energy, the transformer converts low voltage, high-current to high voltage-low current. In other words, the voltage has been stepped up. You can find step-up transformers located near power plants that are designed to operate megawatts of power. Apart from the power plants, step-up transformers can also be used for local and smaller applications such as x-ray machine which requires about 50,000 volts to work. Even a micro-wave oven requires a small step-up transformer to operate. Tip: The type of metal winding used is one of the considerations used in determining the efficiency of transformers. Copper coils are more efficient than many other coil metal choices such as aluminum. However, copper windings tend to cost more, but you can expect to save the initial cost over time as the efficiency of the material will save on electrical cost. How did you find your fellow member first attempt? Leave your impressions. or copy this trackback: http://engineering.electrical-equipment.org/electrical-distribution/step-up-and-step-down-transformers.html/trackback from your own site. Thanks for pointing out that a transformer is what changes the voltage of power supplied to meet the needs of power consumers. You also said that a transformer is made of a soft iron coil with two other coils wound around it. I think it’s good to use a transformer winding company so that your transformer has a less likely chance of blowing or shutting down.